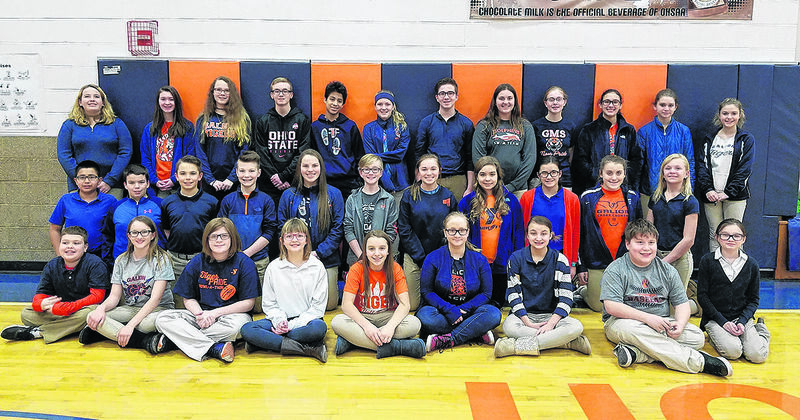 GALION — Thirty-two students were selected recently as members of the new Student Lighthouse Team at Galion Middle School. Students interested in being part of the new leadership team completed applications and were selected based on responses to questions about leadership. Student Lighthouse Teams are already in place at Galion Primary School and Galion Intermediate School. Students selected to the Middle School Lighthouse Team include: Wyatt Estep, Makenzie Lehman, Lilian Ebner, Tabitha Conley, Ella Payne, Olivia Lamb, Majestica Beck, Gavin Fraser, Alyvia Young, Luke Tinnermeir, Ben Rinehart, Cooper Kent, Steven Glew, Isabella Wilacker, Justin Guthridge, Julia Aumend, Maddie Wegesin, Nora Harding, Miranda Stone, Gladys Eby, Regin Kuehlman, Alyssa Franks, Desirae Branam, Tyler Frazier, Kellen Kiser, Taylor Henry, Jaxon Oehler, Julia Conner, Madison McCane, Kaya Capretta, Sydney Keske and Melanie Wheeler. The Student Lighthouse Team is includes sixth- seventh- and eighth-grade srudents. They also will be involved in helping make decisions in the buildings, making public appearances, school projects and other initiatives.